As a member of the Leadership team and Managing Director of Family Wealth Management, David Calvert brings significant expertise in self managed super funds (SMSFs), retirement and investment strategies to Dixon Advisory’s clients. David believes that the greater popularity of SMSFs is due to people wanting greater control over, and involvement in, their retirement savings and greater investment flexibility. He also says that the firm's service offers excellent support to people wanting to run an SMSF, providing professional and personalised support from qualified professionals in a cost-effective manner. 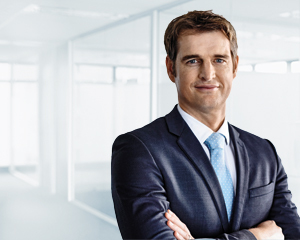 A strong believer in the firm's SMSF service, David says, "We are a market leader because we specialise in services to SMSF trustees, hire professionals of the highest quality, offer a capped fee structure and have an experienced Investment Committee. Our clients appreciate the cost-effective service and the sensible, long-term retirement strategies. We get a lot of client referral through word of mouth, and as we’ve grown we’ve continued to provide clients with quality, personalised service". David joined Dixon Advisory in 2002 and along with Alan Dixon and Robert Turner, he has played an instrumental role in the development of the firm’s specialist SMSF support service. Prior to this he spent over 10 years in a range of accounting and commercial finance roles. He is a CPA and holds a Bachelor of Commerce from the University of Canberra.